View Cart → "Fly Basin Tap Set With Solid Brass Construction And Solid Cross Handle For Hard Wearing." was successfully added to your cart. 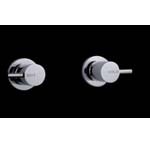 Melle Bath Tap Set-CERAMIC DISC ¼ TURN And Solid Brass Construction With Bar Handle For Hard Wearing. Melle Wall Top-1A-CERAMIC DISC ¼ TURN And Solid Brass Construction With Cover Plate For Hard Wearing. Fly Basin Tap Set With Solid Brass Construction And Solid Cross Handle For Hard Wearing. Most people who buy taps do not think twice about how long they would last. The problem with the taps being sold these days is that they are designed to be as cheap as possible but not necessarily durable. This has lead to an increasing number of people complaining of problems like leaks, excessive build up of rust and that they need to replace their taps very frequently. Keep in mind that hiring a plumber to replace your tap is not cheap. So, it’s always a good idea to purchase a high quality tap that lasts long. This actually results in you saving money in the long term. This is why at Sydney Bathroom Supply we only manufacture and sell high quality taps, so that you are not bothered by frequent replacements. 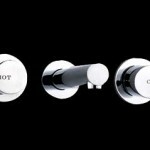 At Sydney Bathroom Supply we have been selling high quality bathroom accessories for a very long time. We have over the years earned a reputation for selling only high quality products which people can attest to as being very good. That said building a high quality tap requires a number of steps which commences with a solid design. 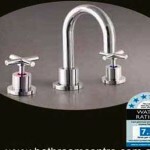 Our taps are designed by experts with years of experience. 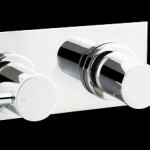 Every design approved ensures that these taps not just look good but are easy to install, and are extremely durable. Our manufacturing process usually includes using the highest quality materials regardless of price. These materials are then processed and molded into the taps by state of the art machines. Plus every tap is checked for defects prior to it being sold on our website. The end result is that the chances of you ending up with a defective or broken product are zero! We have made it a point to ensure that our taps are always competitively priced. This is despite us using the highest quality materials. 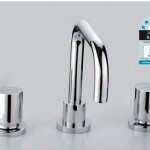 Our goal with these taps is to ensure that everyone can boast of having a high quality tap in their bathroom but without having to spend top dollar on them. This is why people who have not purchased from us before can be assured that they are investing in a high quality product that will end up saving them money in the long term. More information about our taps can be had by calling 02 9675 6885. You can also get in touch with us via our online form for quotes or other information.